Our Maintenance Service Kits contain the parts and products you need to complete a specific mileage service job. Forget searching for products or information online or at the auto parts store, we've done that for you in one convenient and affordable kit... One-click and done! For a complete list of services by mileage for your vehicle with the kits we have available, download your Maintenance Service Schedule today... One sheet with all the pertinent information by mileage! This kit includes complete flush service fluids (transmission fluid, differential fluid and swivel housing grease) needed for a complete service flush. New fill and drain plugs with seals are included as well. 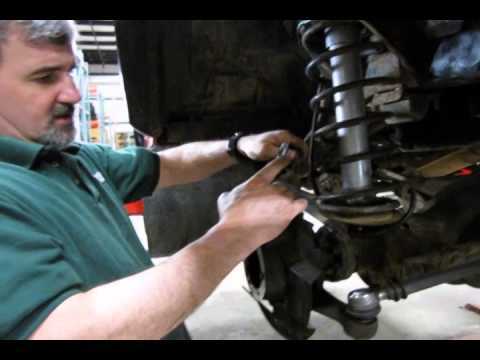 Atlantic British Ltd. Repair & Maintenance Academy How-To Video: Watch Doug, our Land Rover Master Technician, perform the differential, transfer case, axle oil, swivel housing service on a 1997 Defender 90. In this video, Doug will show you the drain and fill points of the front and rear differentials and transfer case, and a very in-depth, step-by-step service to the front swivel ball joints. This service is often forgotten and should be performed every 30,000 miles, to prevent more costly repairs. The referenced kit can be found here. Questions about this video? Call us at 1-800-533-2210 or contact us via live chat.